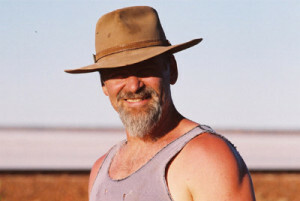 My name is Steve Ewings, and I spent the early years of my life on the edge of the Great Victoria Desert in Western Australia. When I was born in 1959 my parents were missionaries on a remote outstation called Cosmo Newberry. As a result of growing up among Aboriginal people I gained an intimate knowledge of the Australian bush, appreciated the Aboriginal approach to life and became familiar with the cultures. After the missionary stint my parents took up a 365,000 acre lease on land next door to the mission. We ran about 2,000 sheep and around 200 cattle in a very subsistent fashion. Our bathroom had a dirt floor, the kitchen was without walls for a time, and we used kerosene lighting and refrigeration for many years. No air-conditioning or coolers in those years. These outback beginnings means I’m no stranger to isolation and hardships. At an early age I learnt to shear sheep and worked as a professional shearer for some 10 years, shearing in most States of Australia. I left the outback of Australia around 20 and worked in all sorts of capacities. I got a job in the film industry working as a location scout and unit manager in Tasmania and Victoria. After leaving the desert I also did a lot of bushwalking (hiking) and went through Army Reserve Officer training. I’ve toured extensively throughout Australia, by motorcycle, 4WD and horseback. I began mustering sheep on horseback when I was 9 years old, have mustered in cattle camps and have explored many areas with pack horses. In 2005 I created a web site Global Greenhouse Warming. The science of this site draws on the International Panel on Climate Change (IPCC) reports and leans towards renewable or at least very low emissions technology in seeking to answer the anthropogenic causes of climate change. Since early childhood and growing up in the Great Victoria Desert of Australia I have had an interest in what is now often referred to as ‘sustainability’. This fascination continued in my undergraduate degree in archaeology and palaeoanthropology, gravitating towards exploring Indigenous colonisation patterns of Australia’s arid inland. This study provided insight into how humans have repeatedly overexploited our natural resources and how we are now running out of ecological niches to move into. The idea that people sustained themselves for tens of thousands of years in an arid country leads me to believe that a particular philosophy underpins sustainable living. As a manager at Uluru Kata National Park for three years I had the pleasure of working with Anangu, (the traditional Indigenous land owners) and the same Pitjantjatjara speaking people I grew up amongst in the desert. This provided an opportunity to have a hands-on role in managing one of Australia’s iconic landscapes and learning from the Traditional Owners. For five years I managed renewable energy development programs for the Australian government and my journey continues both in providing opportunities to learn from, and to apply past lessons in looking for solutions to climate change. I believe the wise management of biomass for biogas production and gasification, and as means of generating useful energy is sustainable and renewable. Currently I work with a community group as the operations manager managing biodiversity and sustainable agriculture projects in the South West of Western Australia. Through this site I hope to share my great love for this amazing continent and its people.